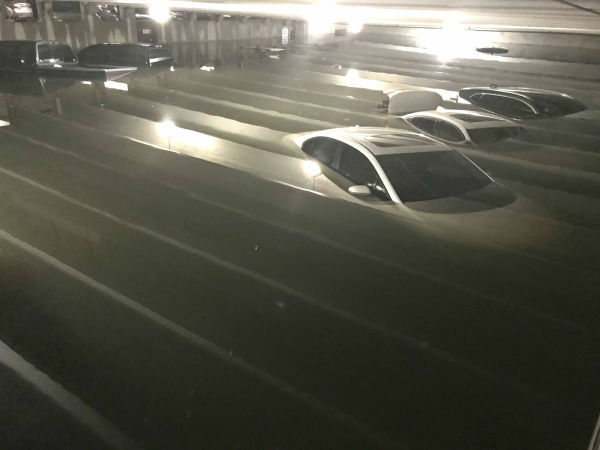 Dallas might be a car-focused city, but that doesn't mean it always offers the greatest parking options. 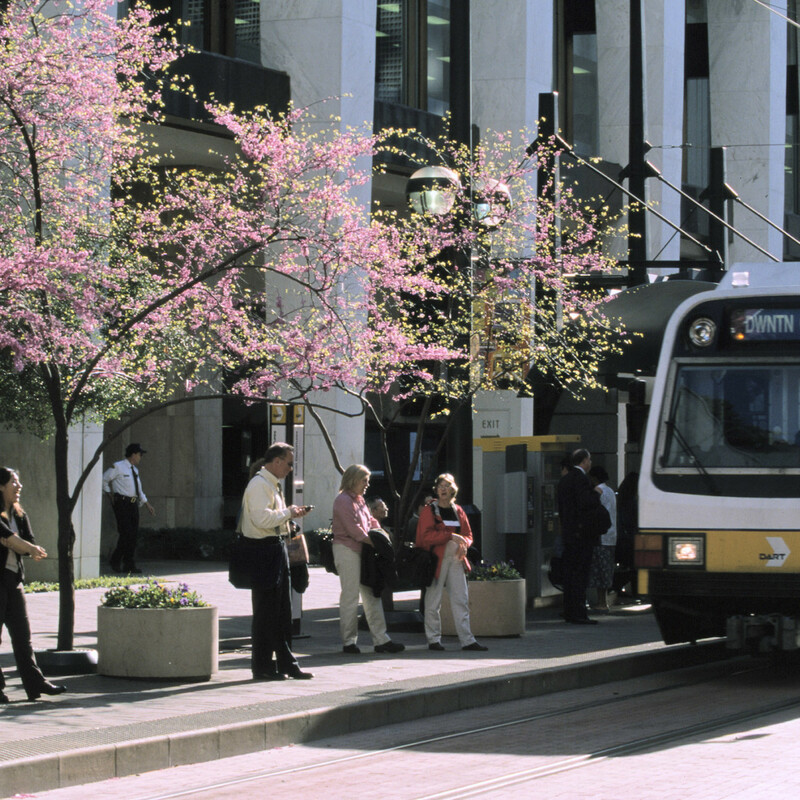 One easy way around this inconvenience is to ride DART, which has lines not only to popular destinations such as the State Fair of Texas and Dallas-Fort Worth International Airport but also a whole host of bustling downtowns. 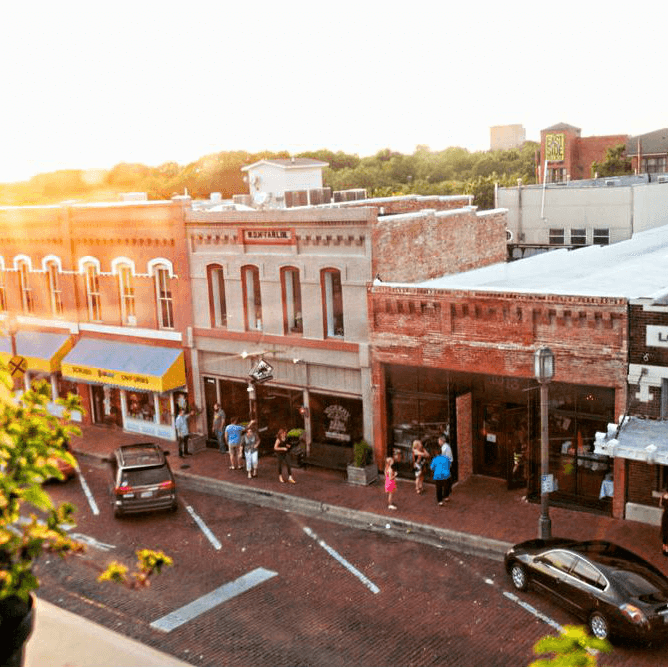 These suburban enclaves have reinvented themselves lately, becoming hot spots of cuisine, entertainment, and shopping. Take a trip out to visit them using the GoPass mobile app, which provides real-time trip planning tools and the ability to pay without needing cash. Where can DART take you? Here's a glance at what each area has to offer. 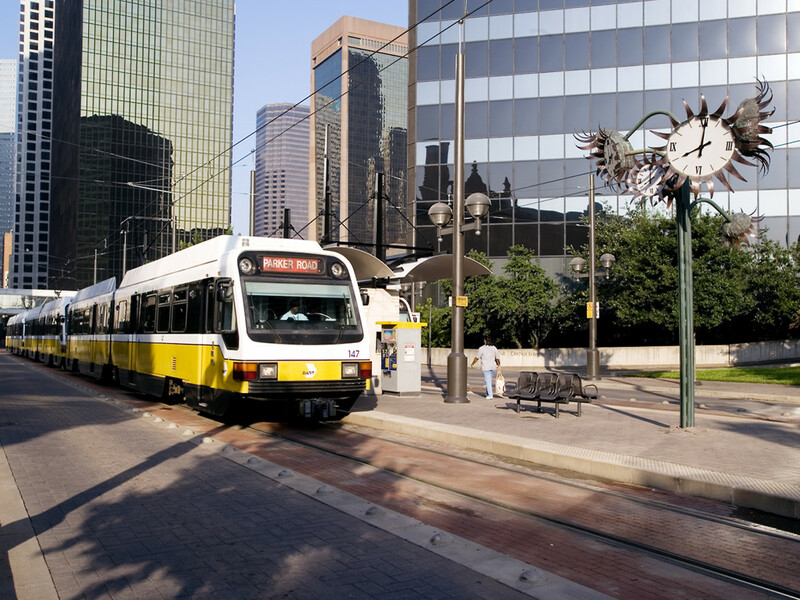 What to see: You have your pick of museums at the nation's largest arts district, including Dallas Museum of Art, Nasher Sculpture Center, and Crow Museum of Asian Art. 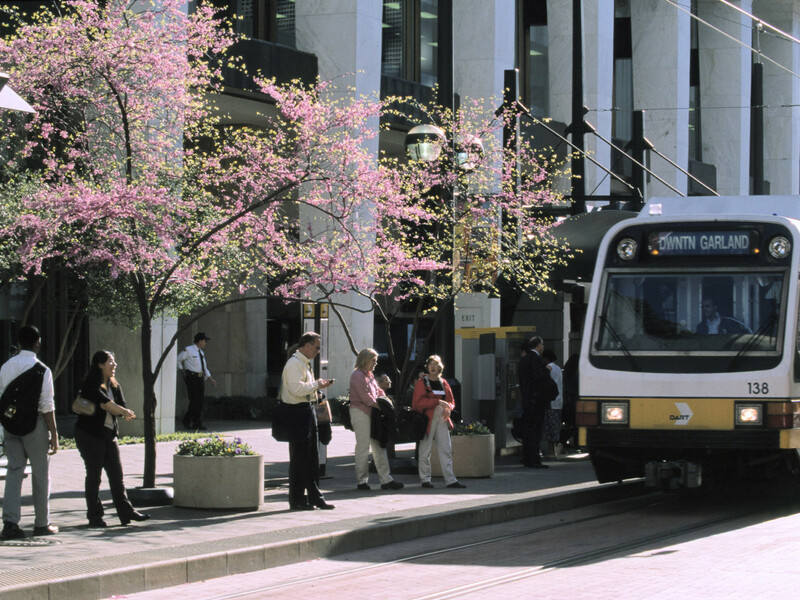 The 5.2-acre Klyde Warren Park is nearby, and often hosts free exercise classes and concerts. 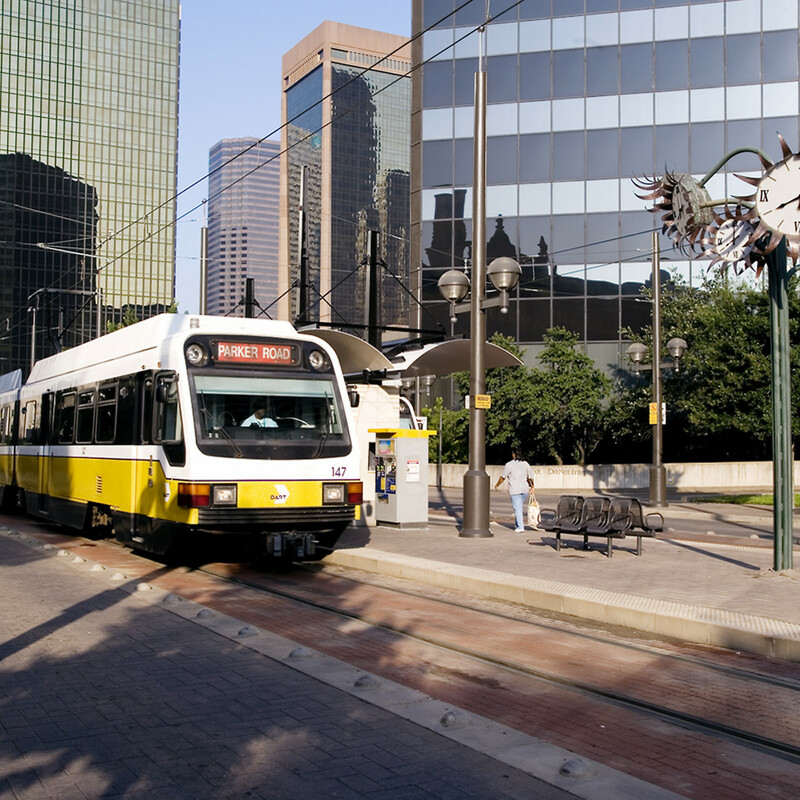 Brush up on your biology at the Perot Museum of Nature and Science, or step back in time at the Sixth Floor Museum, Old Red Museum of Dallas County History & Culture, and Dallas Holocaust Museum. 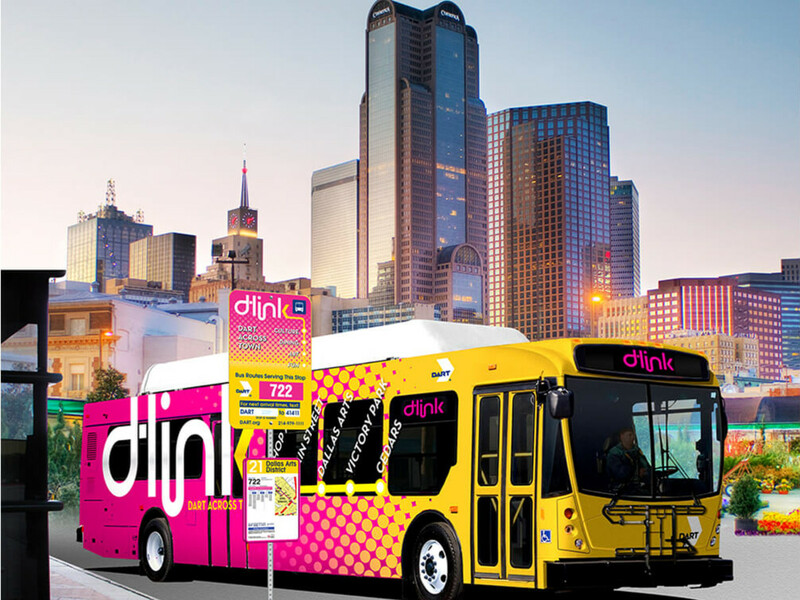 Utilize D-Link, the free shuttle service that runs throughout downtown, to travel between areas. Where to eat: CBD Provisions and Tei An have won a series of prestigious awards, while newcomers Commissary, Americano, Tortaco, and Flora Street Cafe have all generated buzz. Viennese-style coffee house Otto's, inside the Adolphus hotel, is an elegant respite during a busy day. 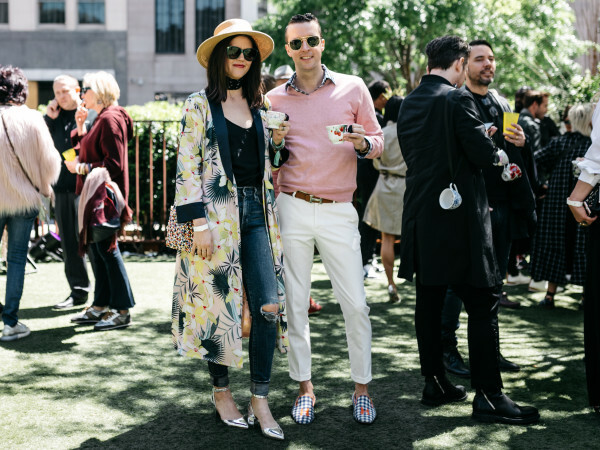 Fun upcoming festivals: Park & Palate at Klyde Warren Park, October 26-27. Sample from Dallas' favorite culinary artists, along with the trendiest wineries, breweries, and spirits in the area. Aurora, throughout downtown, November 3. This free public art event transforms downtown Dallas into an open-air, urban playground with installations of light, video, and sound presented in unexpected places. What to see: See a show at the Courtyard Theatre and Cox Playhouse, or learn about the area's transit past with the free Interurban Railway Museum. Pop into luxury goods store Shinola to pick up a watch, bicycle, or any number of leather items. Schedule a night to sip and paint at Pipe and Palette. Where to eat: Urban Crust and Urban Rio each offer a character-filled rooftop area, while the Fillmore Pub keeps its action on the ground floor. Craft a unique cocktail at Vickery Park before heading to Zalat Pizza for a creative pie, or get the extra napkins ready at the saucy Lockhart Smokehouse. End the night on a sweet note with Dude, Sweet Chocolate. Fun upcoming festival: Steinfest, October 19-20. An Oktoberfest-style event that celebrates outstanding beer, great food, and polka music. What to see: Get a glimpse into early settler life at the Landmark Museum at Heritage Crossing, or take a behind-the-scenes look at how an American icon is made at the Resistol Hat Plant Tour. 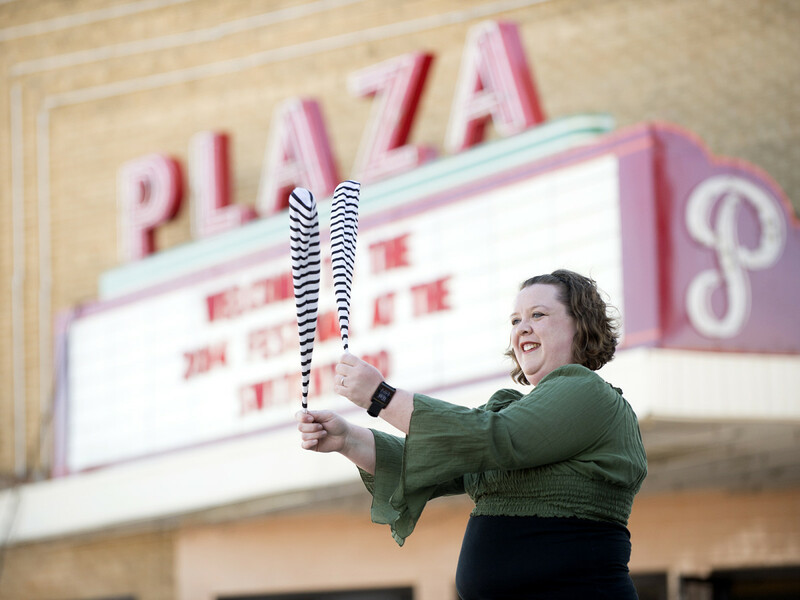 Granville Arts Center and Plaza Theatre are each home to family-friendly plays and musicals. Where to eat: Raise a glass (or several) at Flying Saucer Draught Emporium, which is right on Lake Ray Hubbard. Need more of a beer fix? Intrinsic Smokehouse & Brewery and Lakewood Brewery & Taproom have got you covered. Dig in to comfort-food classics at Babe's Chicken Dinner House, or get a little spicy at Trompo Taqueria. Fun upcoming festival: Snaketoberfest IV at Intrinsic Smokehouse & Brewery, October 13. Enjoy a taste of some of DFW's best barbecue and craft beer while discovering the local music scene. What to see: Feed that shopping addiction with visits to Girlfriends Boutique and Farmhouse Living, or channel your healthy side at the Rowlett Farmers Market. Where to eat: El Centro is your spot for Mexican food, but if you want to camp out on a patio then order up a few wood-fired pizzas and a couple of pints at Bankhead Brewing Co.
Fun upcoming festival: International Festival, October 6. This free inaugural event celebrates all the cultures of Rowlett and its surrounding areas, with food trucks, vendors, and entertainment. Also on October 6, DART will host a music station from Cumbia Trio at the Downtown Rowlett station to celebrate Hispanic Heritage Month. What to see: Heritage House, built in 1912 and one of Irving's oldest homes, is furnished with antiques from the Schulze family (one of Irving's founders) and provides a look back in time. A replica of a settler's cabin also resides in Heritage Park, along with a gazebo and plenty of green space and trails. Centennial Park celebrates Irving's first 100 years, with statues of J.O. Schulze and Otis Brown. Where to eat: Craving an authentic milkshake? Big State Fountain Grill has been serving them since 1948, along with hamburgers and other essential diner fare. For Italian, it doesn't get much more romantic than Di Rosani's. Villa's Grill carves beef, pork, chicken, and sausage tableside in the evenings, capped out with a huge salad bar. Discover authentic and homemade Lao and Thai food at Sapp Sapp. Fun upcoming festival: Holiday Extravaganza, December 1. This free event includes a community parade (with typically more than 100 participants) that travels through the Heritage District, followed by a tree lighting ceremony outside of Irving City Hall. 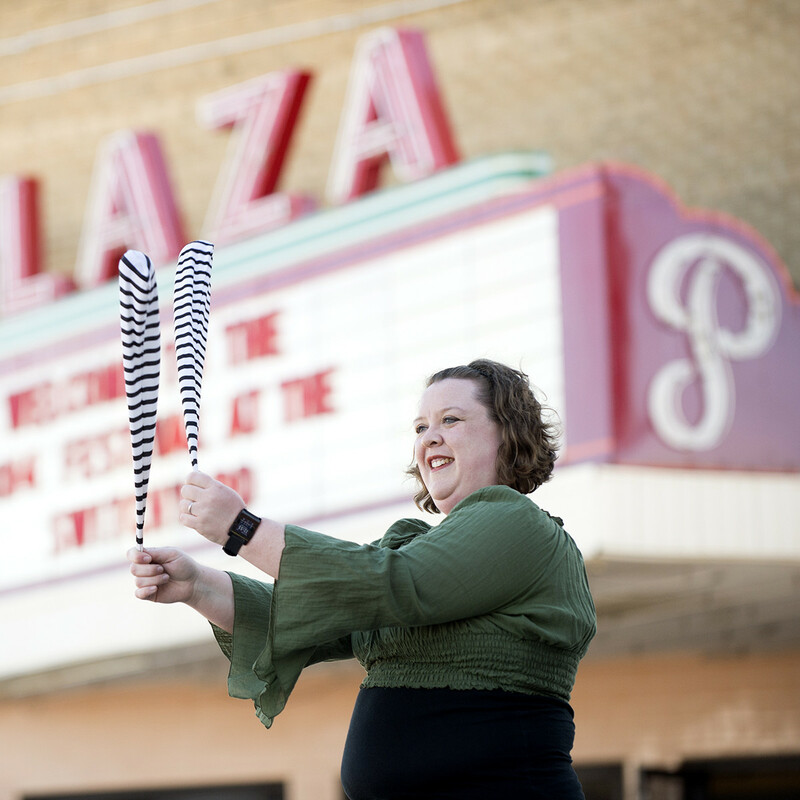 What to see: The landmark Carrollton Plaza Arts Center plays hosts to not just performing arts groups, but also classes and visual arts. Pop into Silver Star Mercantile for a selection of Texas-made foods, or stroll over to Blooms Candy & Soda Pop Shop for a taste of nostalgia. Where to eat: The ultra-popular Cane Rosso has an outpost (and its dog rescue group is headquartered nearby), and other Dallas favorites Monkey King Noodle Company, Babe's Chicken Dinner House, and Twisted Root Burger House also have locations here. 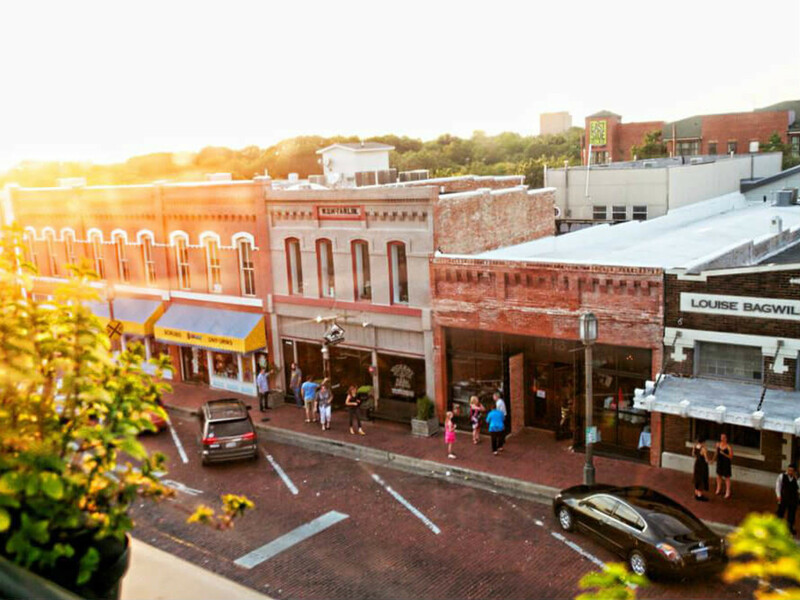 Carrollton faves El Rincon Mexican Restaurant & Tequila Bar, Beth Marie's Old Fashioned Ice Cream, and 55 Degrees Wine Bar and Bistro provide some local flavor. Fun upcoming festival: Festival at the Switchyard, November 3. Honoring the critical role the railroad played in putting Carrollton on the map, and the continuing importance of rail in Carrollton's present and future, this free event features free concerts, games, and rides. Okay, so this isn't technically a downtown, but the booming new Richardson development is quickly becoming a must-visit area. In addition to Good Union Urban BBQ, Jasper's, Luna Grill, Fish City Grill, Top Pot Doughnuts, Tricky Fish, and Taco Diner, you can find a live music series, free yoga in the plaza, and a whole roster of classes devoted to everything from painting to wine tasting. The CityLine Merry Market and Festival is currently scheduled for December 8.